There's something naively boyish and charming about John Mulaney. 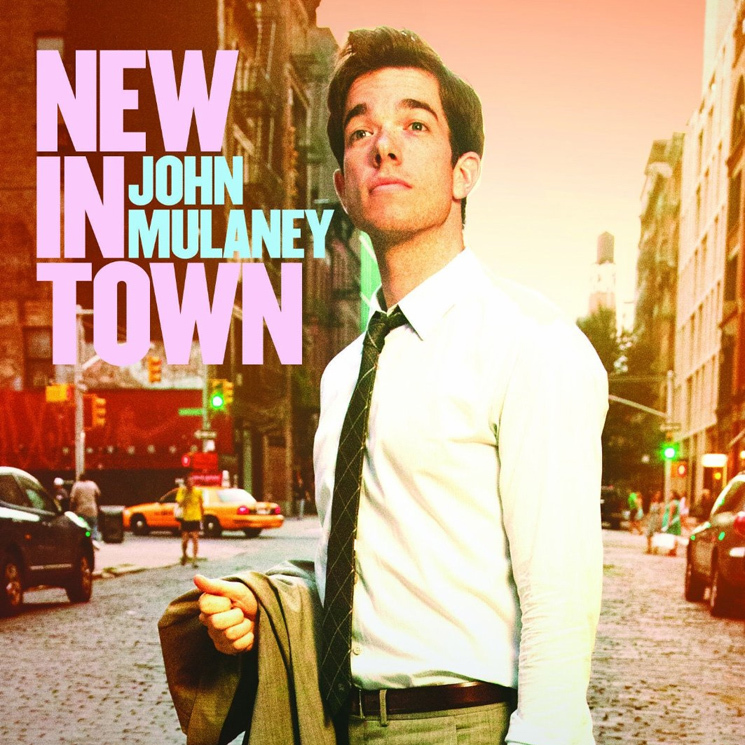 New In Town (taped in 2012) is refreshingly sincere and silly; unlike most comedians of his professional calibre, Mulaney's view of adulthood isn't marred by pessimism, instead he seems to perceive the world as a casual observer and his commentary is light, goofy and somewhat unaffected. The way he presents his position in society is like that of an adolescent that is sharp enough to understand what is taking place around him, but too removed to do anything but ridicule it. And while Mulaney is fairly young (28 at the time of filming), he commands the stage with the confidence of a seasoned veteran, armed with a quick wit and outfitted in a crisp grey suit that he admits makes him look like a tall, tired child going to his first communion. Mulaney's bits often begin with self-deprecating statements that spiral out of control and into ridiculous realms. His self-reproach is not scathing, and the crowd is disarmed and able to laugh comfortably at his plights without feeling pity, especially when Mulaney admits that despite being a grown up, "13-year-olds terrify me, even to this day." Thirteen is an age that Mulaney fixates on: it is the age he started smoking, the age of his former crush and baby sitter, and of course the age of his hypothetical tormentors, or as he characterizes them: "the meanest people in world." Mulaney seems to remember that age as a last stage of innocence, where his younger self's fear of quicksand and dreams of limos with large cheese pizzas were replaced by his older self's tendency for drinking too much and "ruining parties." His childhood recollections are a hilarious mix of awkwardness and absurdity that feels familiar for an audience that has undoubtedly experienced similar childhood oddities. In listening to him entertain with stories of an identifiable and somewhat collective North American adolescence, Mulaney taps into a visceral part of us that craves off-hand silliness. This playful exuberance is contagious, and in Mulaney's presence, the crowd is reconnected with the funniest kid from middle school and discovers how he's coping in New York City.